Content Theft has been one of the biggest problems on Blogger and Wordpress whereby some lazy websites steal content from the other sites. Writing quality website content is not very easy at all as it might require a lot of sources and accuracy of information but out of all the hard work that you may put into your Website content, anybody on internet can simply copy your hard work into their own website in a matter of seconds which is very bad and stopping or finding that person is not an easy thing because you don't have anything to use against them. The internet is big with billions of sites with content that are providing original content to the readers but it happens at some time the content might be stolen by any other website, on the internet because content theft happens daily on the internet and it has been noted that thousands of Websites on USA get ripped of their own content by professional internet thieves who can easily claim the ownership of your site content before you do, Because any content you post on the internet is not yours until your copyright it and then it will be considered your content. Content theft will not only take the possession of your content but it can also decrease the rank of your site because of the increase of web page duplicates. Google has it own way of displaying a duplicate page which is by making the first page to get indexed as the original and all the other duplicates will be put under that page which mean they will not rank but the page which was indexed first will be the page to appear on the search results. For Example it might happen happen that you publish a post and a content thief will copy your post to his/her Website and then will get it indexed to Google before your site was indexed which will make you to be considered a thief. I have been using DMCA in the couple of months and every content that I publish is copyrighted right after pressing the publish button which will prevent internet thieves from claiming my content on Google, Bing, and all the other Search Engines. It doesn't just end by claiming your content but DMCA will send a notice to the content thief to remove the stolen content and if the the content thief fails to remove the stolen content then DMCA will be forced to send a Take-Down Notice which will enable it to remove that page from the internet and if the content thief tries to persist then the thief will be forced to face the law. 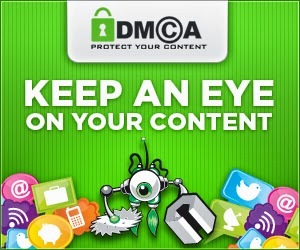 If you might be looking forward to protecting your website content from professional internet thieves then I will recommend to you the worlds number one free content protection service DMCA which was started by the US government to stop content theft. If you you might have any questions towards this post please feel free to leave them on the comment box and we will like to help you, join DMCA at no cost and get your content protected .